“Amazed and astonished, they asked, ‘Are not all these who are speaking Galileans? And how is it that we hear, each of us, in our own native language? Parthians, Medes, Elamites, and residents of Mesopotamia, Judea and Cappadocia, Pontus and Asia, Phrygia and Pamphylia, Egypt and the parts of Libya belonging to Cyrene, and visitors from Rome, both Jews and proselytes, Cretans and Arabs—in our own languages we hear them speaking about God’s deeds of power’” (Acts 2:7-11). Another text based on the tower of Babel story is the account of Pentecost in Acts 2. Jesus’ followers were waiting together in Jerusalem as he had commanded them, praying in an upper room, when “All of them were filled with the Holy Spirit and began to speak in other languages, as the Spirit gave them ability” (Acts 2:4). Boiling out of that room and into the streets, they met Jewish pilgrims from all over the Roman world, who had come to Jerusalem for Pentecost. These visitors discovered, to their astonishment, that they could understand Jesus’ Galilean followers perfectly: “‘in our own languages we hear them speaking about God’s deeds of power’” (Acts 2:11). Please notice that this passage does not say that the people all started speaking the same language—that their cultural and ethnic distinctiveness was denied or undone. The Spirit does not return them to “one language and the same words” (Gen 11:1). Instead, each group hears God’s praise in its own language. We should not be surprised that the members of the Pentecost crowd all hear the Gospel in their own languages. The entire Bible models for us how to escape the danger of the single story. Scripture rarely gives us a single story about anything! At the beginning of our Bible, we find two different accounts of the creation of the world (the account we pursued last week, in Genesis 1:1—2:4a, and another in Genesis 2:4b-25). Our New Testament opens with four gospels, presenting four quite different accounts of Jesus’ life, death, and resurrection. Scripture itself calls for us to listen with open ears and open hearts for the truth told, not as a single story, but as a chorus of voices. Sometimes those voices are in harmony, sometimes they are in dissonance, but always they are lifted in praise to the God who remembers all our stories, the comedies and tragedies alike, and catches them up together in love, forgiveness, and grace. Prayer: O God, you are bigger than all our imaginings. Your glory explodes every box in which we try to confine it. May we never be satisfied with a single story, but be ever eager to see you through the eyes of others, and hear your praise in their stories. In Jesus’ name, Amen. 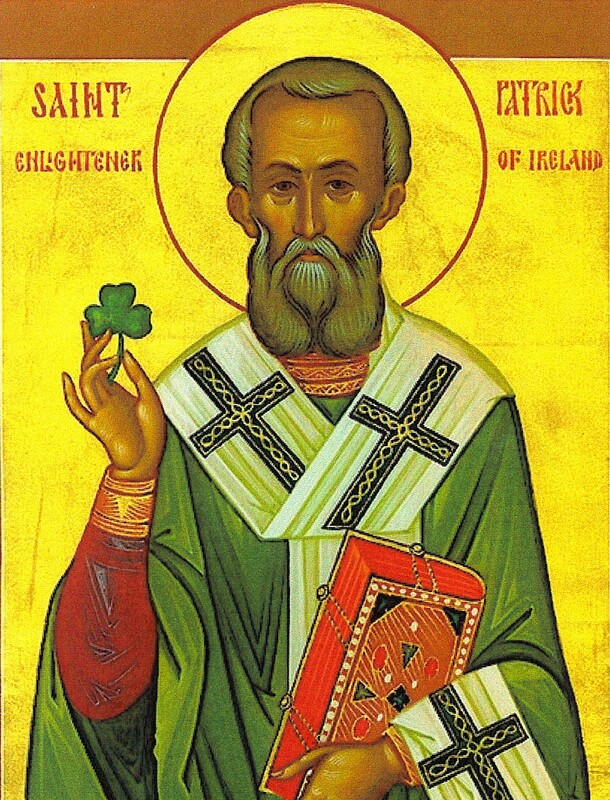 The Bible Guy wishes sásta Lá Fhéile Pádraig (that’s Happy Saint Patrick’s Day!) to all you foine Irish lads and lasses–whether actual or honorary! Love the image of the Spirit-filled disciples “Boiling” out on the streets of Jerusalem. And celebrating the many stories, not a single story, of faith. Thanks!